I love this flower pattern, no matter what colour I choose to stitch it with, it always looks pretty. 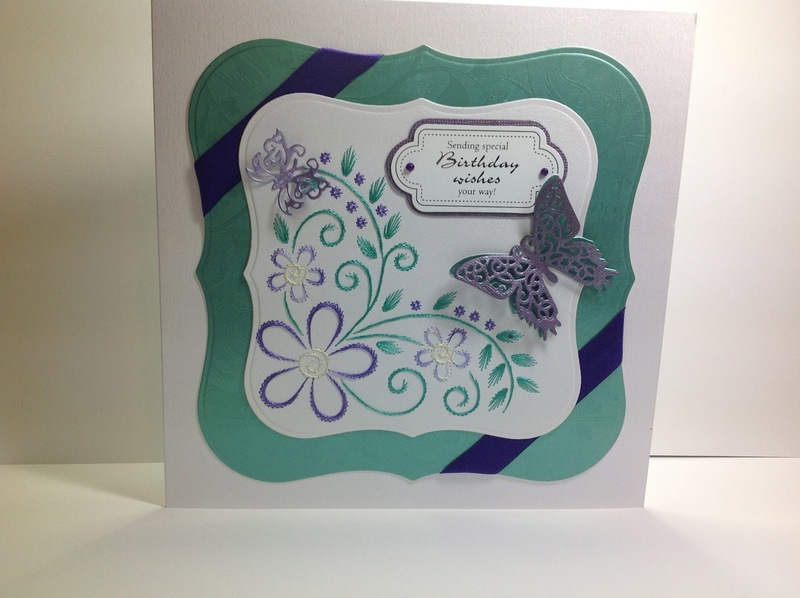 With the first card I picked purple and green, I added some spellbinders butterflies, ribbon, a sentiment. I matted it onto green card which I then put onto an 8"x 8" card. 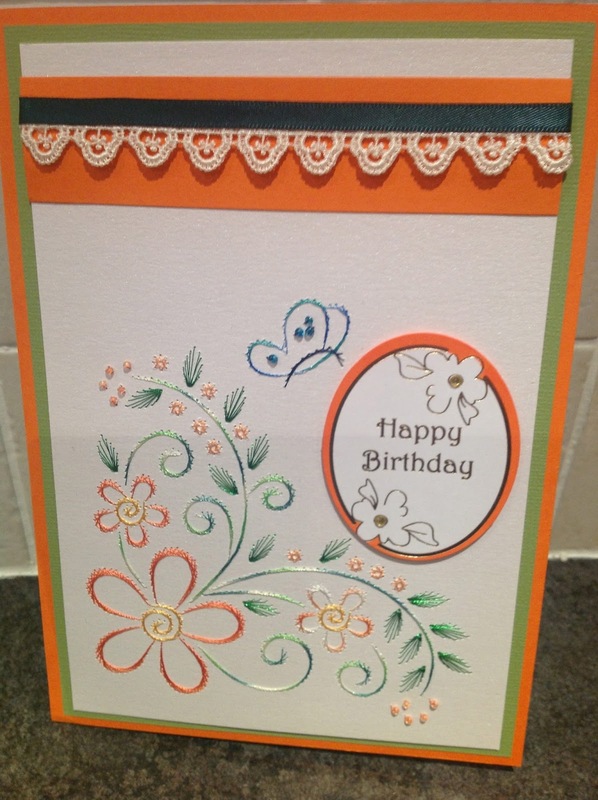 Here is the same pattern, which I stitched in orange and green, mounted onto green and orange card with some lace and ribbon. This was then placed onto a A5 card. Hope you like them, I think you may see this pattern again (in different colours) as I really like it and it is so easy to stitch. Thank you for my beautiful birthday card! I absolutely love it! And I'm going to save it like I have all of the other ones you've made me!